Beautiful Luxury Serving Trays available in three sizes. 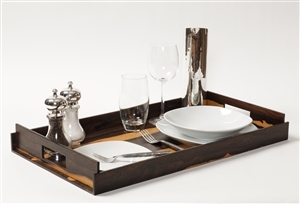 These Luxury Large Trays are perfect for a dinner for two or a large dinner for one. Available in 7 stunning woods.